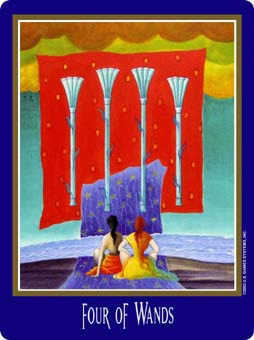 When you act upon a shared vision it will have far reaching effects. 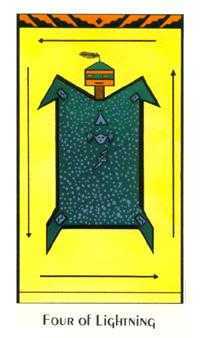 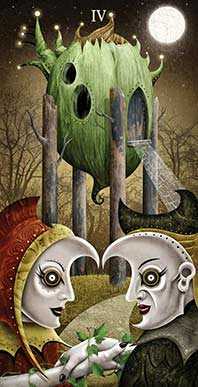 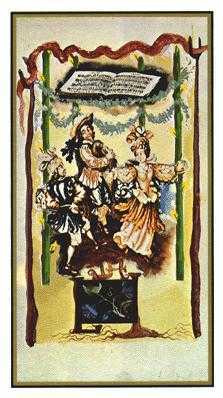 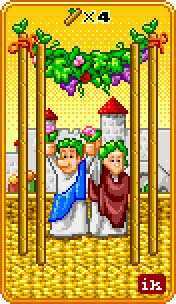 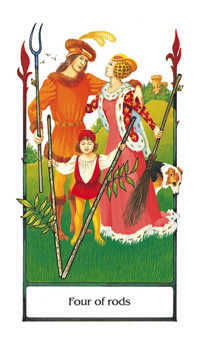 A Four in this suit is the teamwork card, often symbolized by two couples who have come together to create something profitable and enduring. 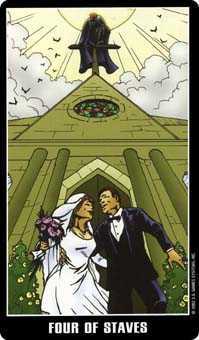 Quite likely, they will create a gift for the future -- a business, hospital, theater or university. 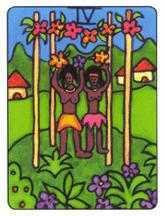 They represent the founding families of the future community that will grow around their inspiration. 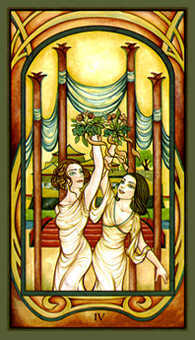 Teamwork is the key. 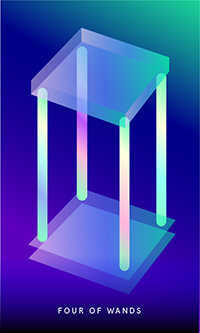 Exchanging ideas and proposals for addressing a universal need ensures approval and support. 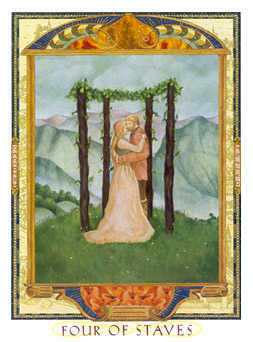 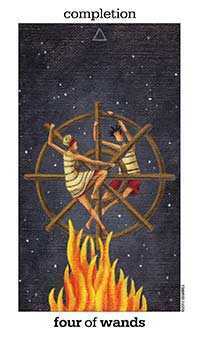 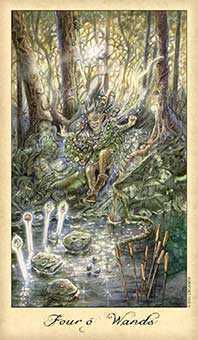 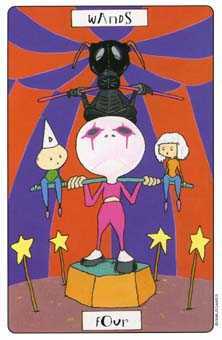 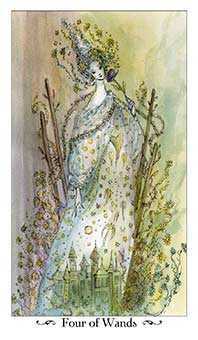 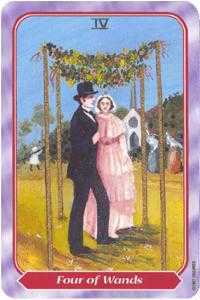 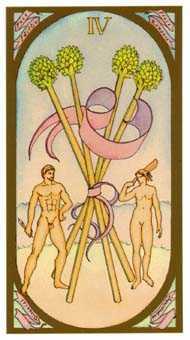 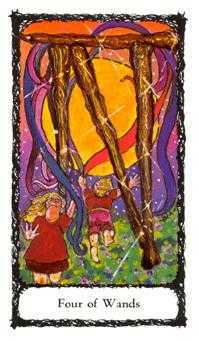 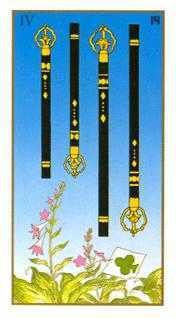 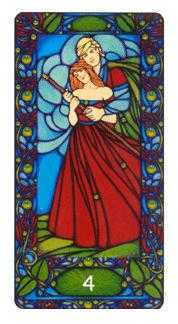 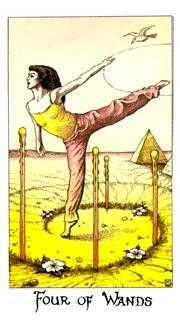 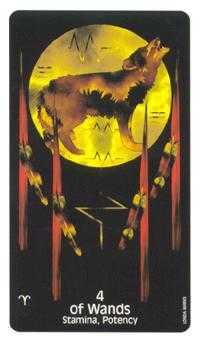 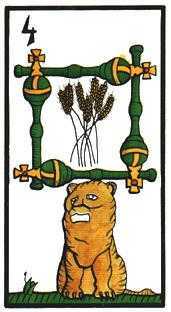 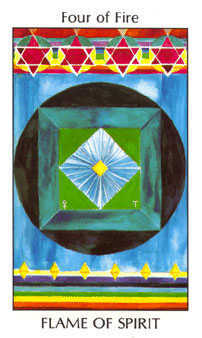 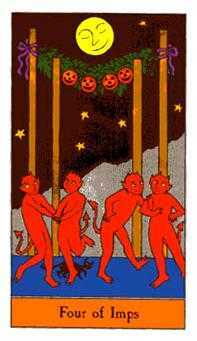 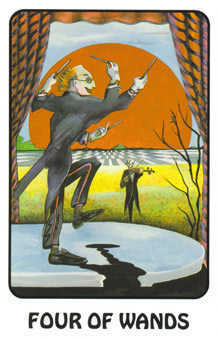 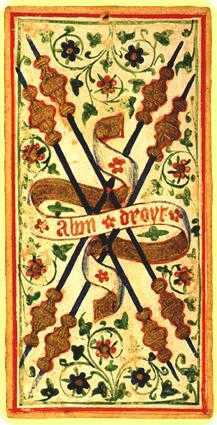 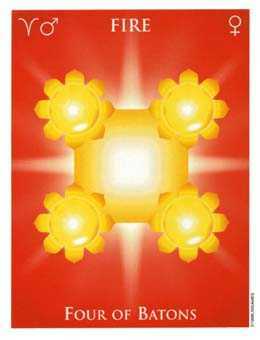 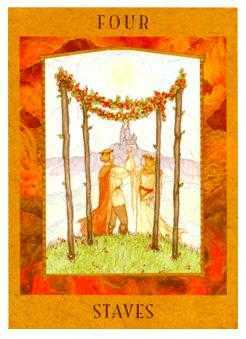 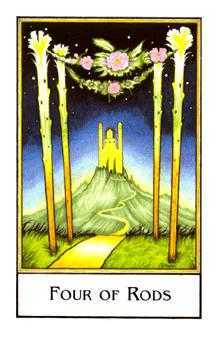 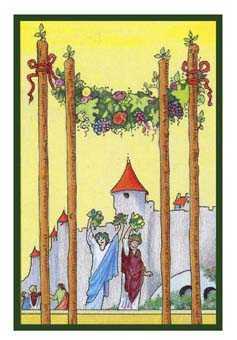 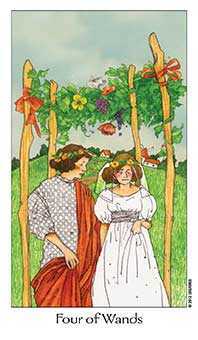 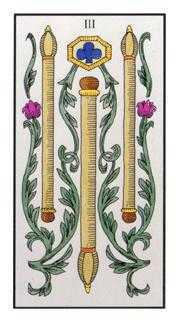 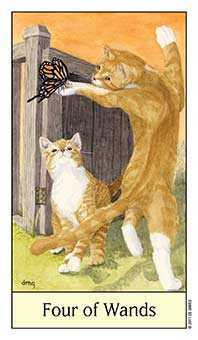 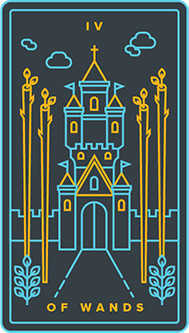 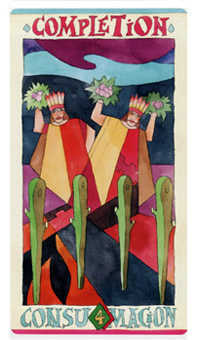 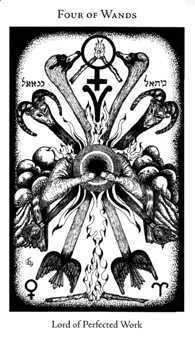 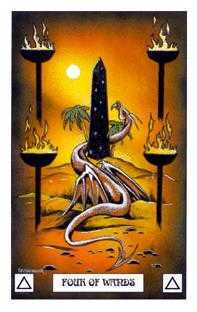 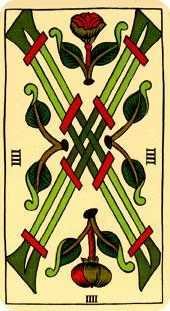 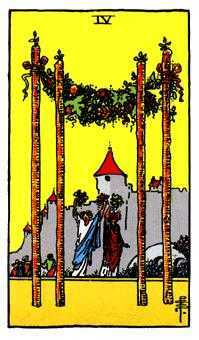 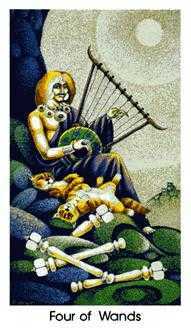 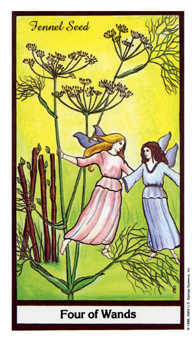 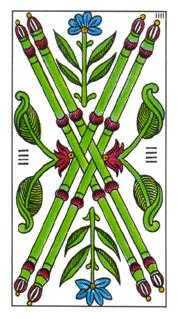 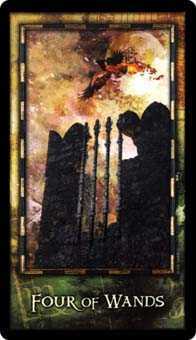 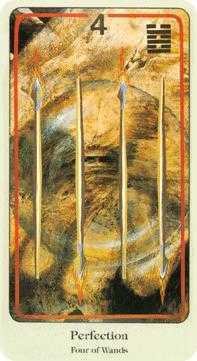 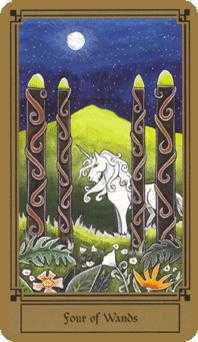 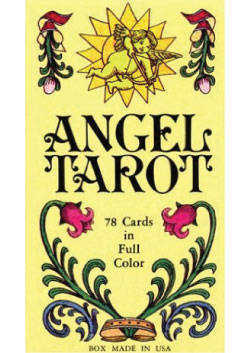 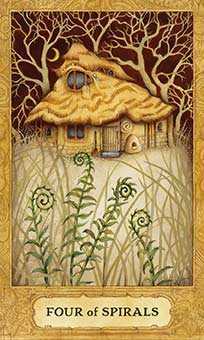 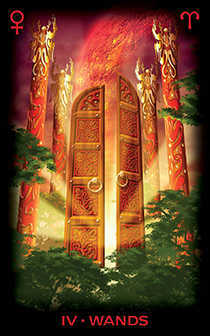 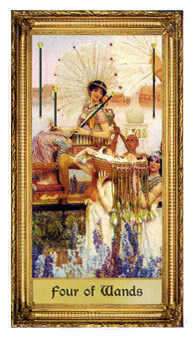 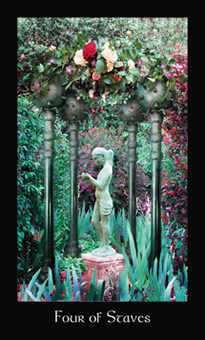 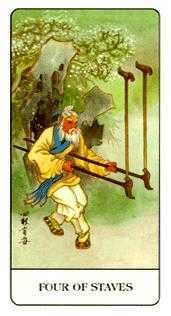 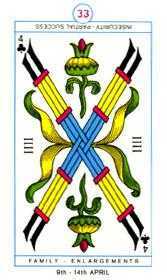 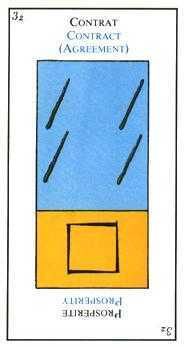 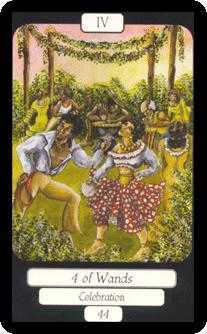 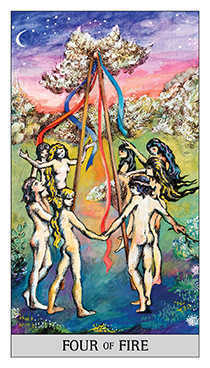 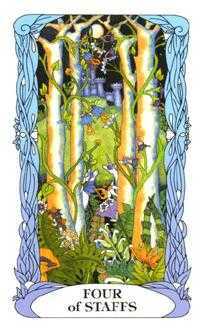 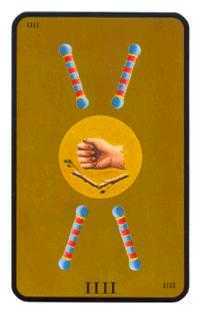 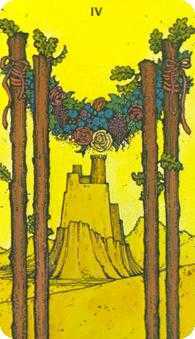 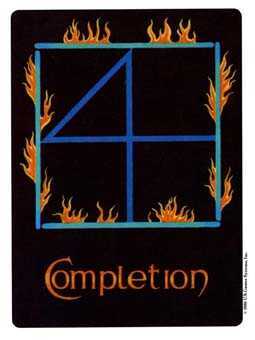 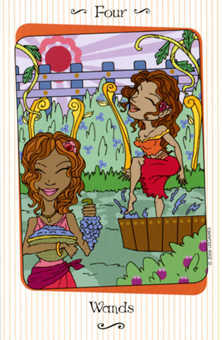 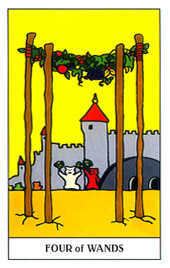 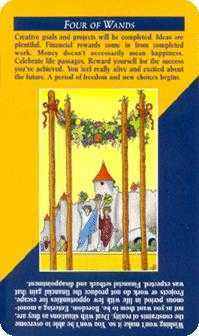 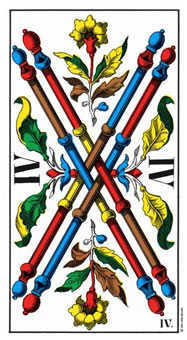 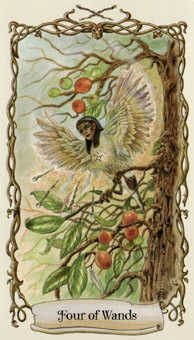 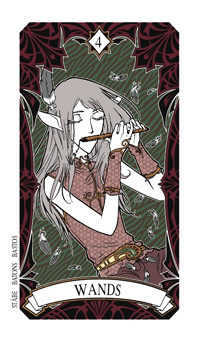 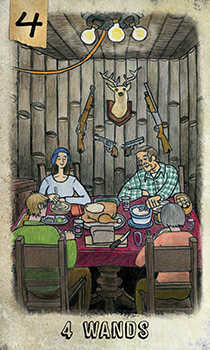 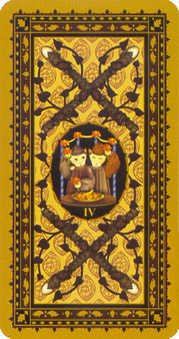 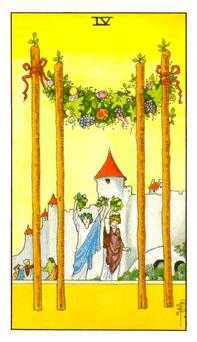 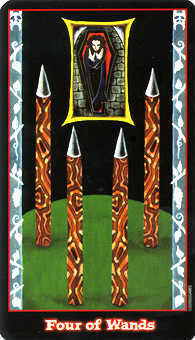 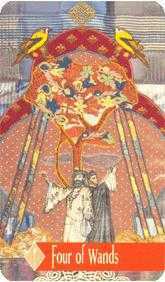 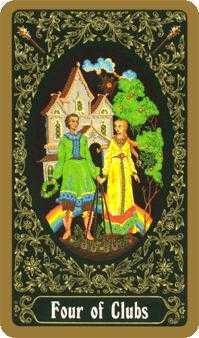 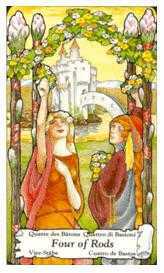 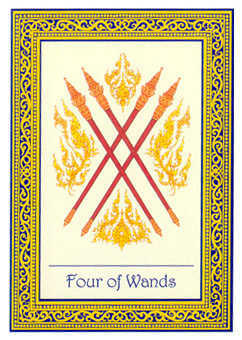 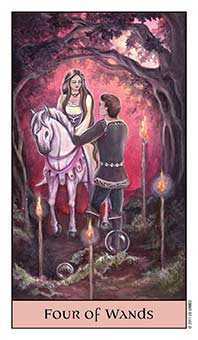 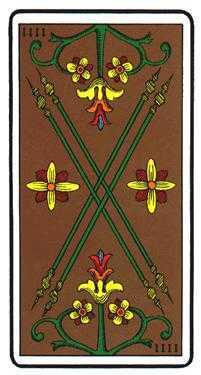 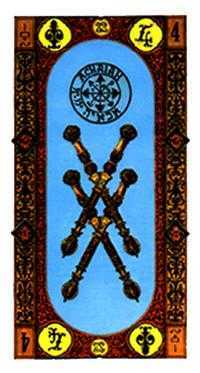 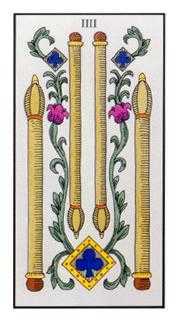 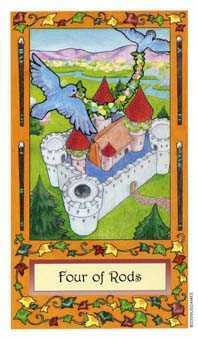 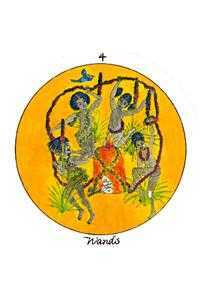 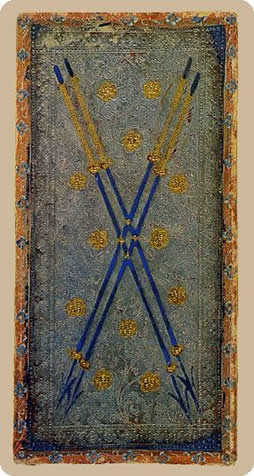 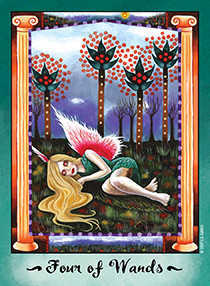 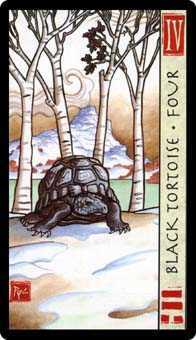 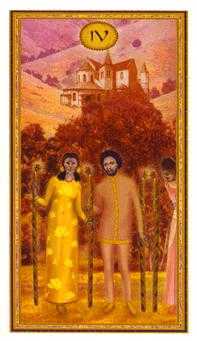 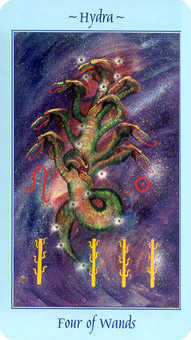 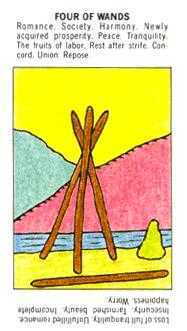 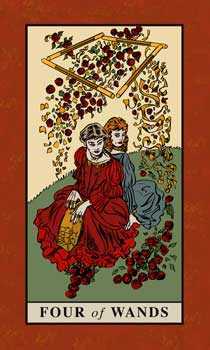 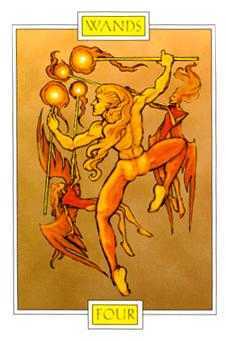 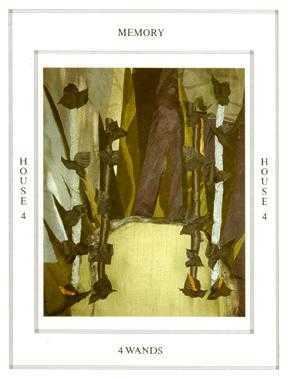 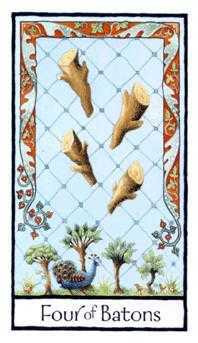 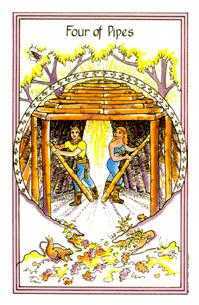 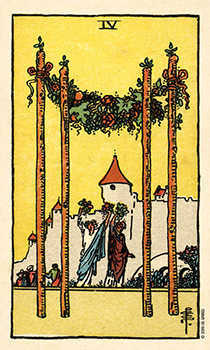 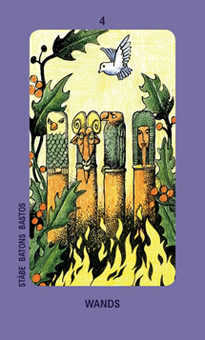 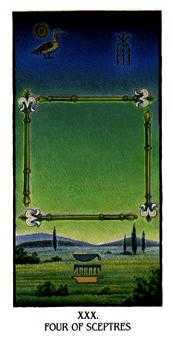 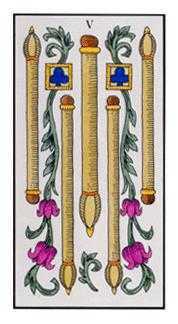 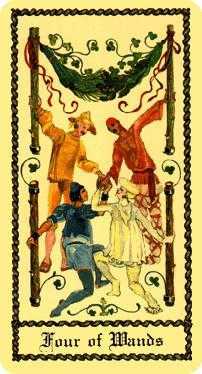 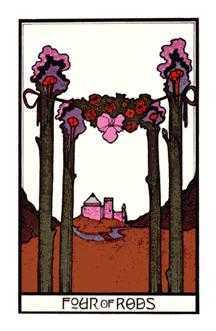 The Four of Wands in this position supports your good, productive, evolutionary ideas. 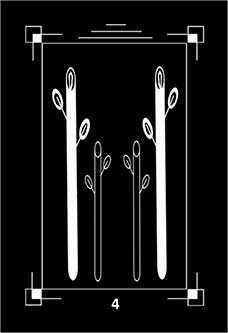 Concentrate on networking: use your charisma and power to attract like-minded souls so you can significantly increase your sphere of influence -- the more people you can reach, the better. 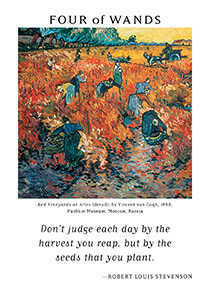 Your enthusiasm empowers your vision, which is thriving with possibilities. 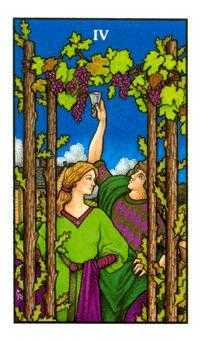 As you share more freely what is on your mind and in your heart, others will see themselves in your vision, so you naturally receive approval, support, assistance and abundance. 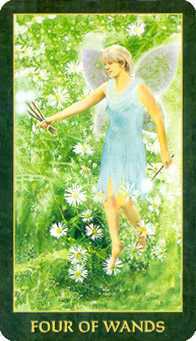 In your own way, you are addressing a universal need.